Radiesse is an injectable dermal filler that temporarily adds volume to help smooth moderate to severe facial wrinkles and gives an immediate lifting and firming effect. 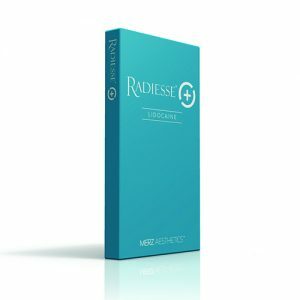 The unique mode of Radiesse leads to wrinkle filling, volume lifting, and skin rejuvenation. 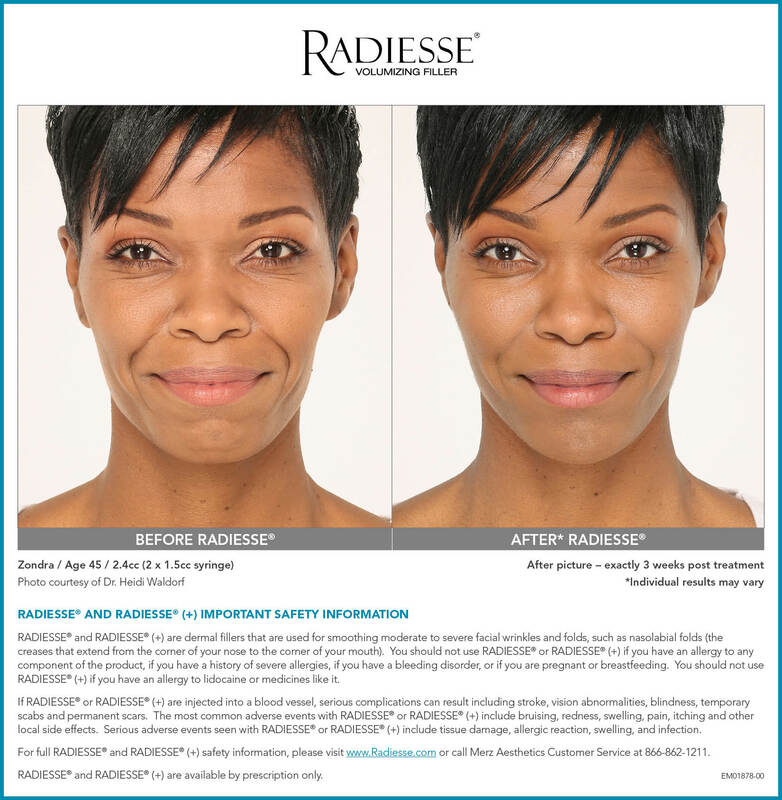 Radiesse continues to improve the appearance of the skin after injection by stimulating long term collagen production. 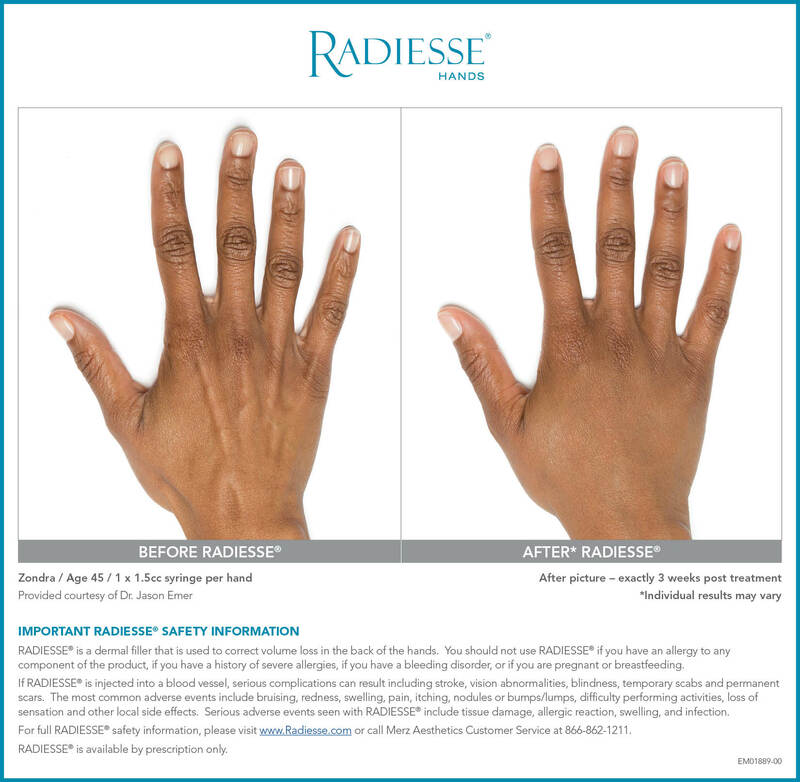 Radiesse is also the only filler approved for treating volume loss in the hands. It minimizes the visibility of veins and tendons, providing a smooth and natural result.